Many advisors today have never experienced a difficult time in the market. RZ Wealth has a long history guiding our clients during good times and bad. Advising on what, when and how to do what is needed. The work of assisting clients in the pursuit of their financial goals is a huge responsibility. Doesn’t it make sense to only work with an advisor that has committed to education, knowledge and ethical behavior by earning advanced designations? It is imperative that anyone serving as an advisor to clients and as a fiduciary adheres to a culture of continual education and development in their craft. At RZ Wealth we have taken this to another level. Below are the various designations and ethical requirements that are held and adhered to by one or several of our team members. 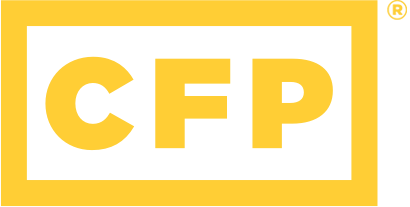 Awarded by the Certified Financial Planner Board of Standards, Inc., the CFP® certification is the standard of excellence for the financial planning industry. The Certified Financial Planner® certification requires extensive knowledge and education on topics such as general financial planning principles, taxes, retirement, insurance, and estate planning. A CFP® professional is held to a fiduciary standard as well as ethical practices. The Accredited Investment Fiduciary® training and designation equips investment professionals with the tools and knowledge to serve clients and be held to the fiduciary standard. A fiduciary acts in the best interest of the client when aiding with personalized financial advice. The Chartered Financial Consultant® designation is awarded by the American College of Financial Services after completion of their expansive courses and examinations. The comprehensive courses provide a ChFC® holder with ample education of financial planning principles and practical application. Also granted by the American College of Financial Services, the Chartered Life Underwriter® designation was created in 1927 for professionals specialized in life insurance and risk management. In addition to life insurance, the courses teach and emphasize ethics and commitment to clients. The Chartered Retirement Plans Specialist designation is awarded by the College for Financial Planning after successful completion of the examination. The program requires vast knowledge and strong understanding of retirement products, retirement planning, and plan implementation. Awarded by the National Association of Estate Planners & Councils, the Accredited Estate Planner® designation requires intensive education, knowledge, and experience with estate planning.